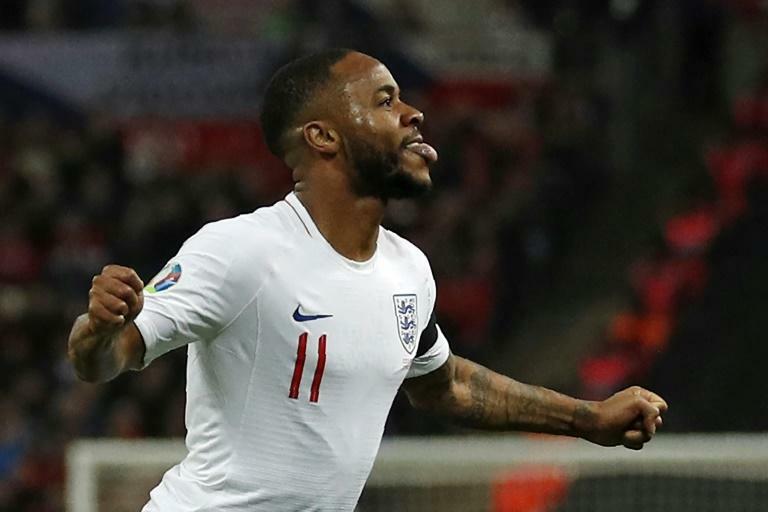 England manager Gareth Southgate hailed Raheem Sterling's coming of age on the international stage after hitting his first hat-trick for the Three Lions in a 5-0 demolition of the Czech Republic on Friday. The burgeoning talent at Southgate's disposal was on show as 18-year-old's Jadon Sancho and Callum Hudson-Odoi also played their part in a perfect start to England's Euro 2020 qualifying campaign. "I thought he was devastating tonight," said Southgate. "I’m delighted for him to get the reaction that he did from the crowd here. We can’t hide from the fact that he’s had difficult moments with England and he’s turned that full circle," said Southgate. "I also think the goals in Spain were an important moment for him; you could see the release that had brought. "His finishes there and tonight were finishes that he was just taking on without thinking too much. At times, you could almost see the thought process in the past, but he’s hungry for those goals." Harry Kane was also on target from the penalty spot and Tomas Kalas's calamitous own goal rounded off the scoring as England carried on their momentum from a run to the World Cup semi-finals and qualification for the last four of the Nations League. Another burst of inspiration from Sterling helped double England's lead in first-half stoppage time. However, England's hat-trick hero had luck on his side for his third goal as a huge deflection left Pavlenka in the Czech goal flummoxed. That was Sterling's final act as he made way for Hudson-Odoi, to make his international debut, while Declan Rice was also handed his England debut after switching allegiances from the Republic of Ireland. And Southgate believes Sterling's experience of the highs and lows of being and England protégé makes him the perfect role model for the likes of Sancho, Hudson-Odoi and Rice. "I’ve put him into the leadership group that we have. I think he’s showing those signs, I think he’s a role model for the younger players coming in," added Southgate. "I think he’s enjoyed that extra responsibility as well. "That shone through on the pitch, so a really special night for him." Hudson-Odoi had a big part to play in England's fifth as his shot was parried by Pavlenka into the onrushing Kalas, who haplessly turned the ball into his own net.